Indeed, everyone is going to be salted with fire. Salt is excellent, but if it loses its saltiness, how will you use it? So have salt in yourselves – that is, be at peace with each other. How blessed are you when people insult you and persecute you and tell all kinds of vicious lies about you because you follow Me! Rejoice, be glad, because your reward in heaven is great – they persecuted the prophets before you in the same way. You are the salt of the land. But if the salt becomes tasteless, how can it be made salty again? It is no longer good for anything except being thrown out for people to trample on. You are light for the world. A town on a hill cannot be hidden. Likewise, when people light a lamp, they don’t cover it with a bowl but put it on a lampstand, so that it shines for everyone in the house. In the same way, let your Light shine before people, so that they may see the good things you do and praise your Father in heaven. Before I get to the main thread of this blog, I wish to add a side note. I, myself, as well as many others who have shared with me have had to learn the difference between being persecuted and being rightfully called a hypocrite for speaking truth. To be slandered and lied about, and persecuted for speaking truth is done whether a person is righteous our not. The Truth, these days is out of favor. I’ve spoken truth unkindly, God can still use the truth, but the consequence of being without love in the doing nonetheless was warranted. This was not persecution. Just because we speak truth to people or are what some may term “brutally honest” doesn’t mean we are glorifying the Father. There’s a huge difference. For those who feel justified in ignoring a truth because it came from someone less than lovingly or they didn’t in your opinion have “the right” to say it, don’t feel justified all the more by what I’ve just said. Yeshua IS Truth, and if it comes to you in any way, we are capable of applying the truth and separating it from the messenger. For in truth, none of us are qualified to speak it. We are all learning it at all times, we are all in various stages of absorbing it at all times, we are all disqualified to speak it based on our humanity alone. So what’s the difference? 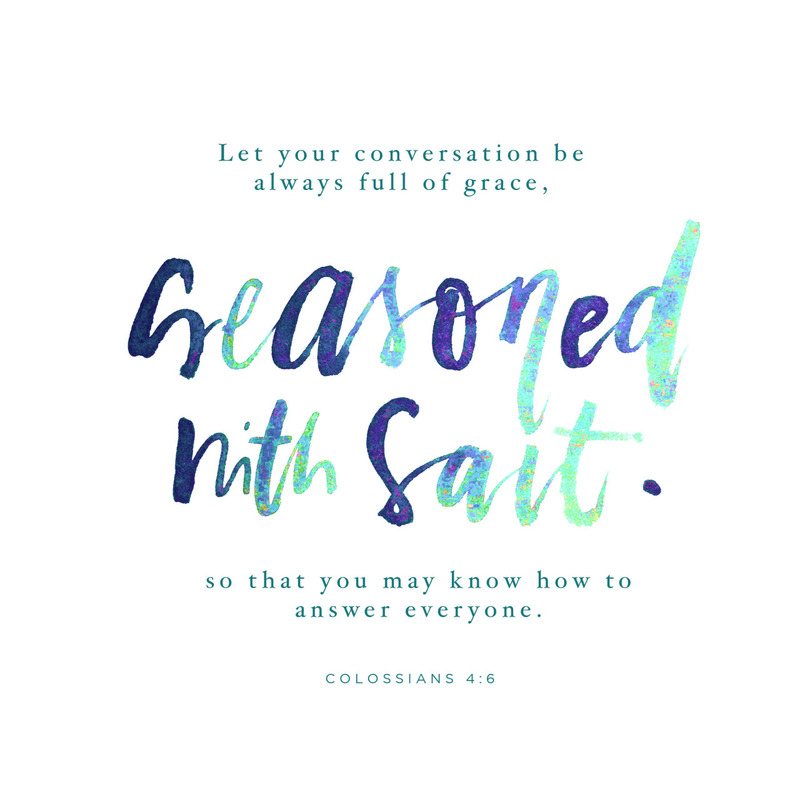 What makes us called to be salt and light, revealing truth, teaching truth, testifying to THE TRUTH? Simple – Yeshua’s righteousness alone, His love, His example. His call to follow Him, do as He did/does. It irritates and hurts wounds. It can also be corrosive. It enables water to conduct electricity. Melts ice/keeps water from freezing. It is like an electrolyte. It was used in all the offerings, incense, and sacrifices. It can destroy, overcome, and over take. Babies used to be rubbed with it just after birth. Without salt, no life would exist. As I studied this list I found it amazing. It’s dual nature. Sodom and Gomorrah were destroyed with it (Gen. 19). Yet covenants were preserved with it (Numbers 18:17-19; 2 Chronicles 13). Elisha purified water with it (2 Kings 2:18-22). The Dead Sea was destroyed with it. Yet in Ezekiel 47, we see that God will restore it. In Jeremiah 17:5-8, we see it represents trust! 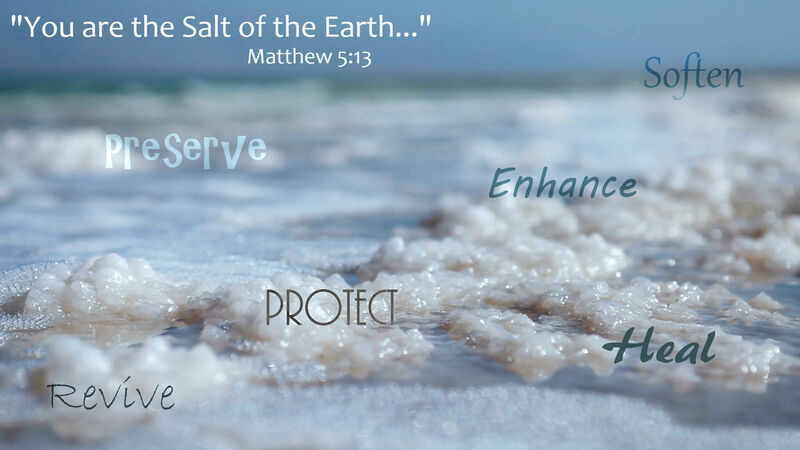 To be salt we must be a living trust in action and word in Yeshua – all He said, did, does, and will do. Salt irritates wounds. Yet applied correctly it will heal them. The application is always our choice. Even if it’s “dumped” on us, we can still make use of it. If we are awake, we are salt. Every single thing on that list above applies in a spiritual sense as well as a physical. Notice the Matthew 5 verse. I suggest you read the whole chapter. So often that salt part is selected out of its context. Yet it’s sandwiched between blessed are you if you are persecuted and you are a light for a reason. What might that reason be? To be awake one must seek this answer for themselves. Every single word of Matthew 5 is showing us what salt and lights function is and how it is to be used. Every single word Yeshua said was perfectly applied as salt and light. (Not just in Matthew 5). If any of those words become empty or inapplicable to us, our salt will lose its flavor, our light will dim. Notice the first place we are to adopt the Truths is in our own lives. Too many people are good at preaching what they themselves are completely dead to. When our salt loses its flavor something dies in us to the truth and it spreads like a virus to those around us. We are doubly accountable in this case. It’s one thing to be naive, not knowing the truth, it’s another to reject it. To clarify without any fuzzy lines – on Judgement Day – there will be not one naive human being standing before the God who reveals Truth to all in order that they might be saved. All will have had the chance to reject or be reborn (changed, transformed in the Image of God) by Yeshua, The Way, The Truth, The Life. 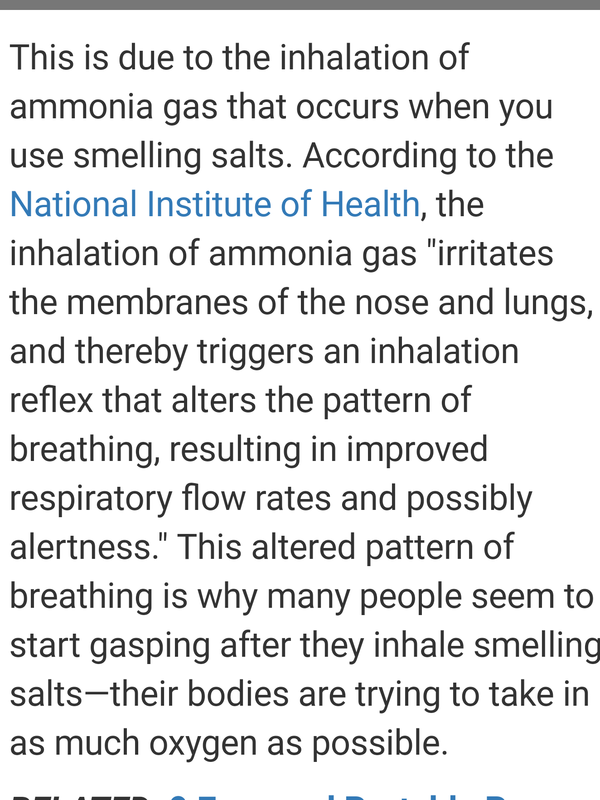 An interesting note: there such a thing as ‘smelling or waking salts’. You know, we’ve all seen them used in movies. Salts that awaken. In order to be changed into the glory of His likeness, one must first be awakened. These salts irritate. They snap someone out of one state into another. It’s offensive – hence why Yeshua said “blessed is anyone not offended by Me”. (Matthew 11:6) Who can argue that it’s much better to be open to Truth, no matter how hard, than to be offended (defensive) by it? Now notice how interesting the verses in Mark 9:49-50 are? Salted with fire? What is Yeshua saying here? Then it ends by suggesting that our saltiness will produce peace among people? These are very strange references. 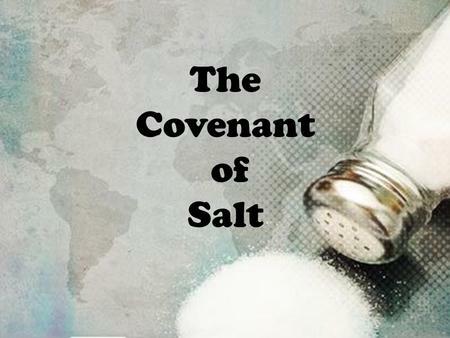 When considering the main by-product of saltiness in this day and age will be persecution. So what peace is Yeshua referring to here? It seems to contradict itself. Let me assure you He does not, yet again for this to be understood, one must seek Him for the clarity of the meaning here for themselves. Begin with every scripture from Genesis to Revelation where salt is mentioned. The Beginning and the End is where answers are found and Yeshua is both! There are four covenants Yahweh’s people can enter into. One is called the Salt covenant. Seek out and study these, you’ll begin to understand salt in a whole new light – pun intended. I hope I’ve raised curiosity here, caused a thirst or hunger to seek Yeshua and His Word for yourself. I wonder often, if we wouldn’t be more effective, not giving all the answers, but sending out questions that seek to be answered? For some this may be a smelling salt, for others flavor, for others cleansing, for others a bleaching agent, and yes, for some corrosive, irritating, even destructive (to all things evil). We are just told to be salt, God directs the function of it. We can be absolutely sure of His heart to love and save. An interesting note: it takes salt to make light 😉!